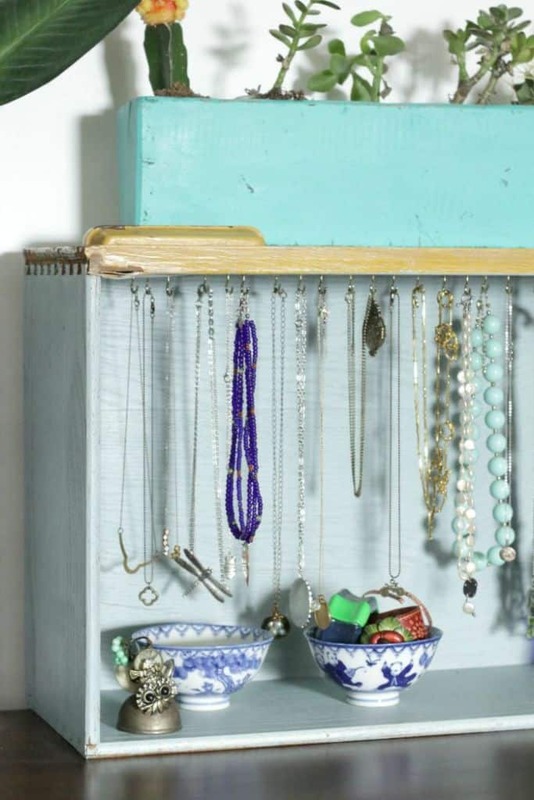 Who would have thought that there were so many ways to repurpose dresser drawers! 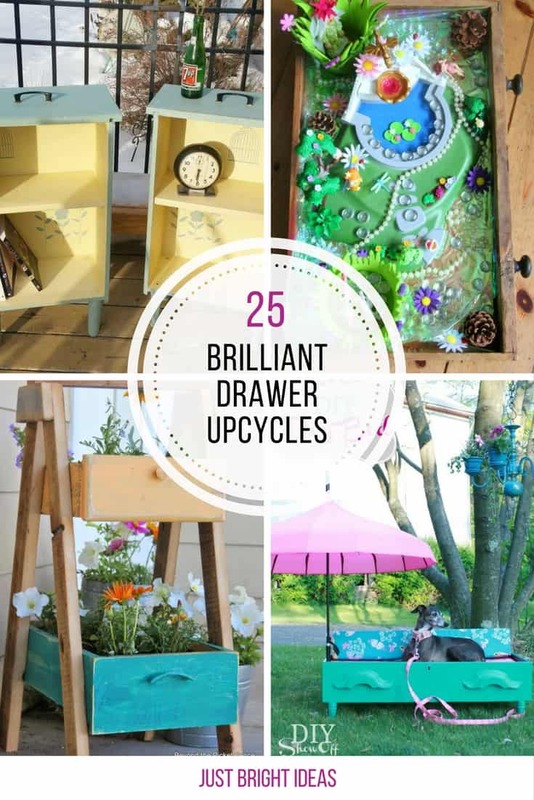 From planters to storage shelves and even dog beds it’s time to start scouring Freecycle for unwanted drawers to upcycle! 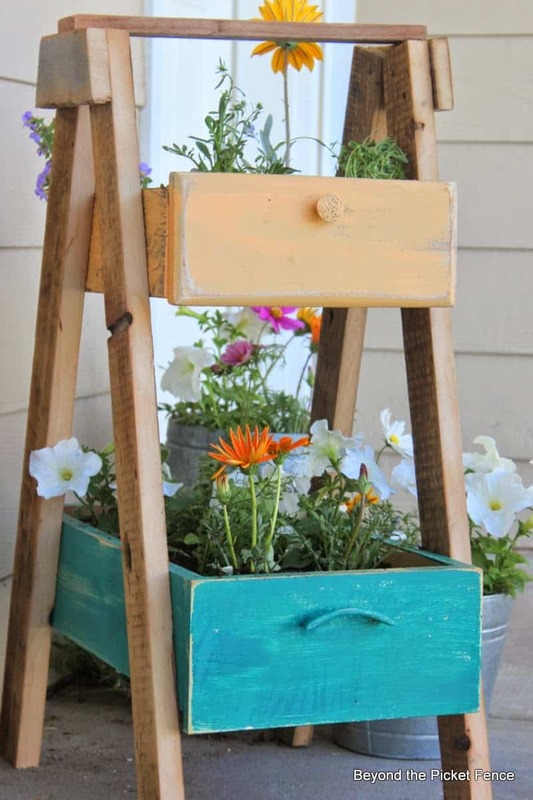 This colourful planter would look fabulous on your front porch! 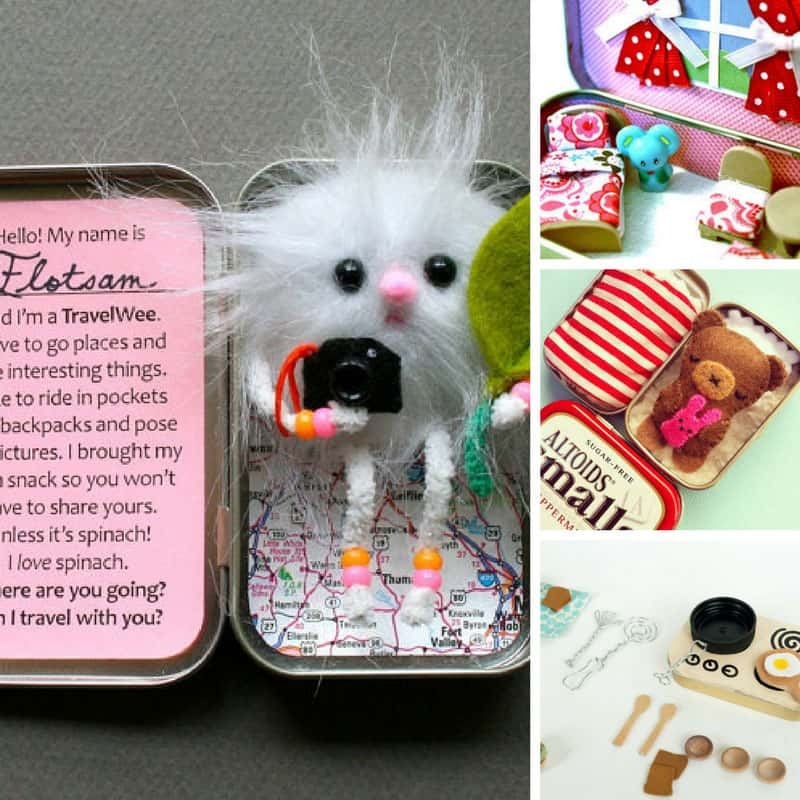 This would make a unique gift idea for someone in your life who loves necklaces! 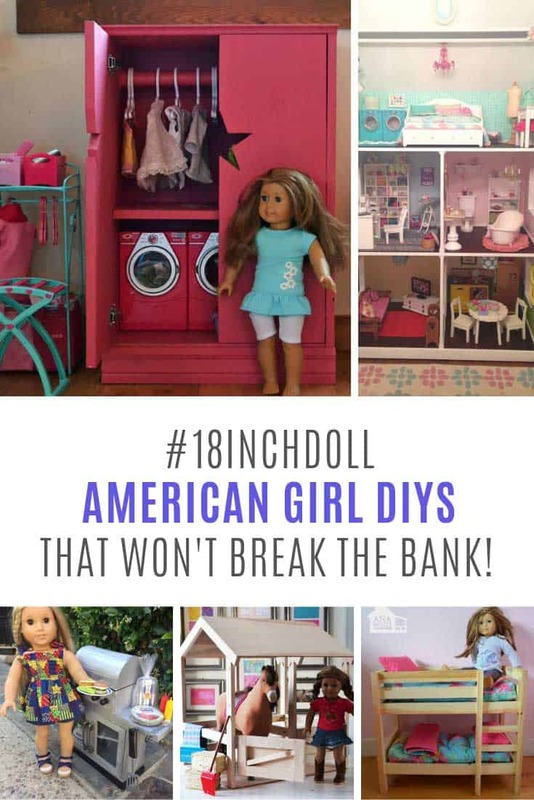 If you’re in need of a large underbed storage unit but you only have small drawers to hand you can just combined them together! 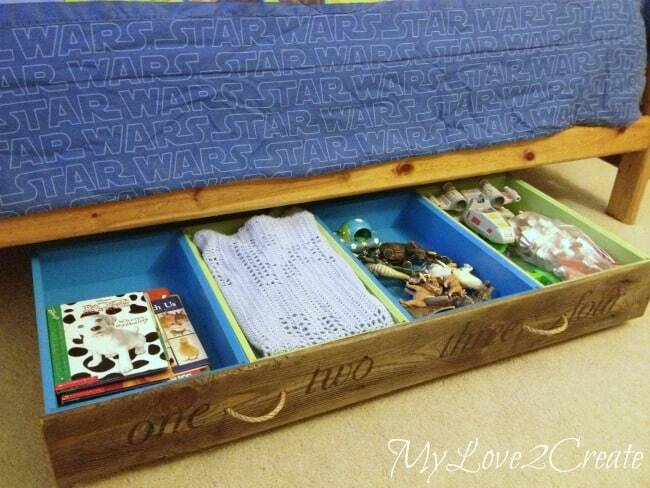 As drawer upcycle projects go this one is right up there as being the most inventive and the most practical! 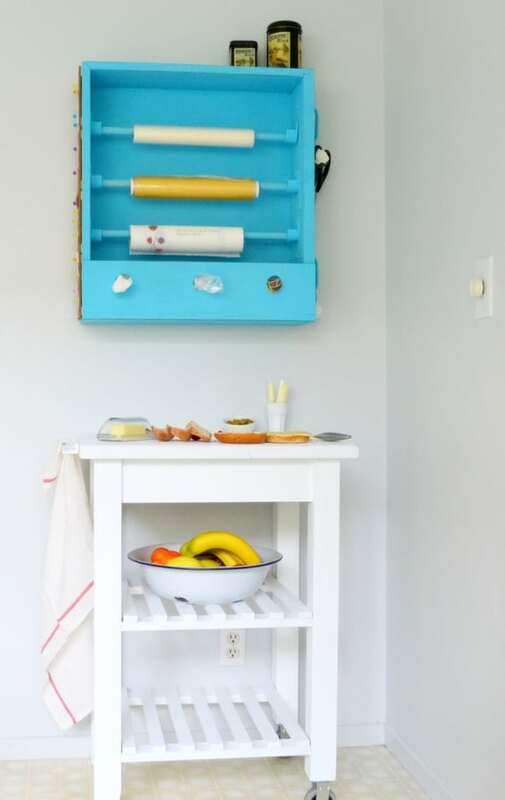 From old unwanted drawer into much needed sandwich station! 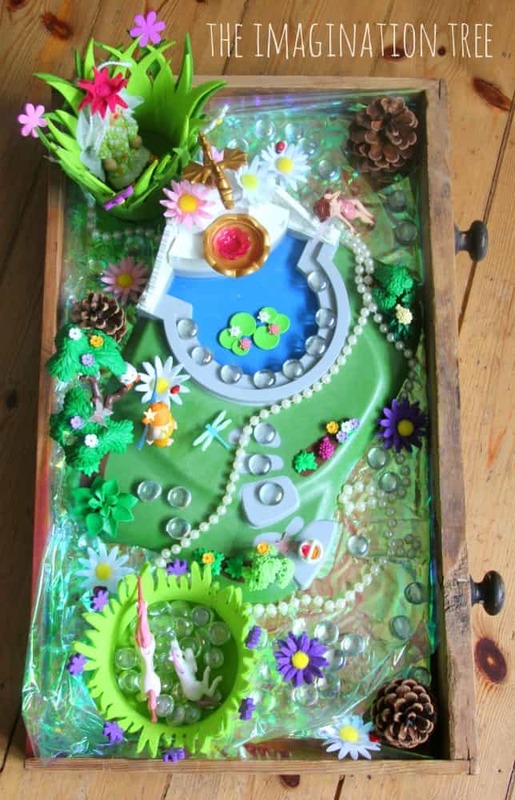 We LOVE fairy gardens and the idea to make one inside an unwanted drawer is a GENIUS idea! 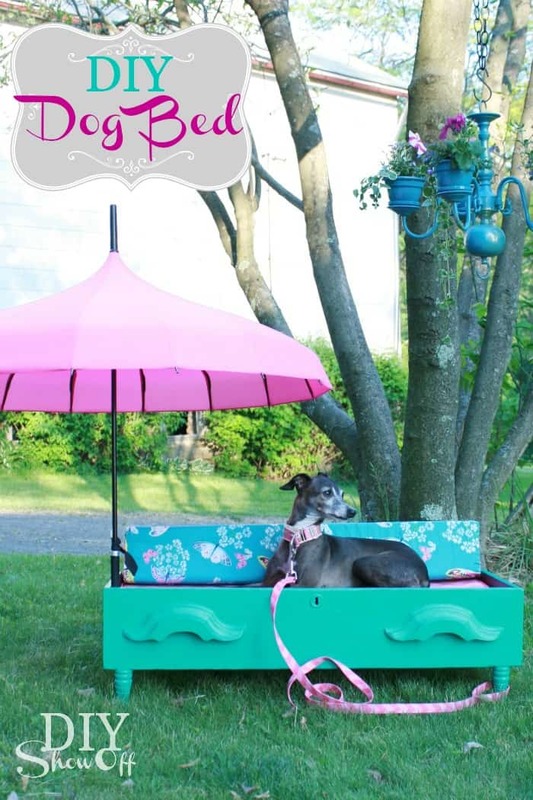 Let your pooch sunbathe in style with this fabulous dog bed made from an old drawer! 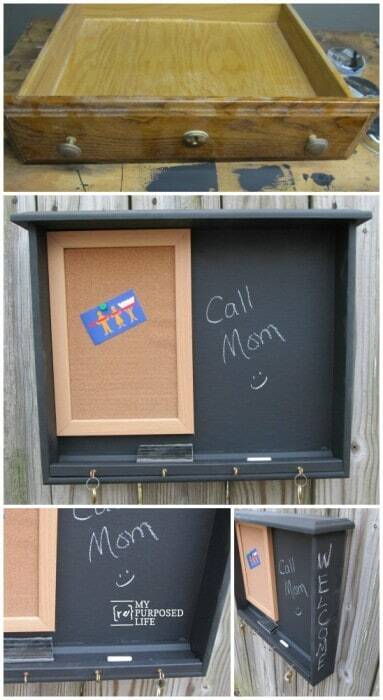 This is such a great idea and we love the addition of the cork board for storing those flyers and business cards that always need a home. 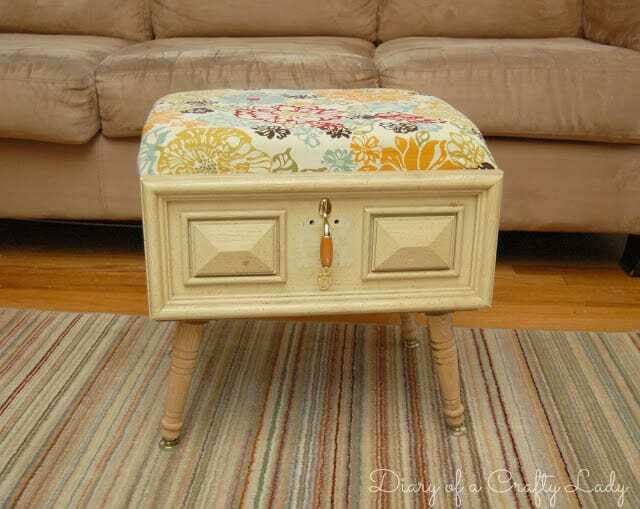 Ottomans are great for extra storage or spare seating but they can be so expensive. 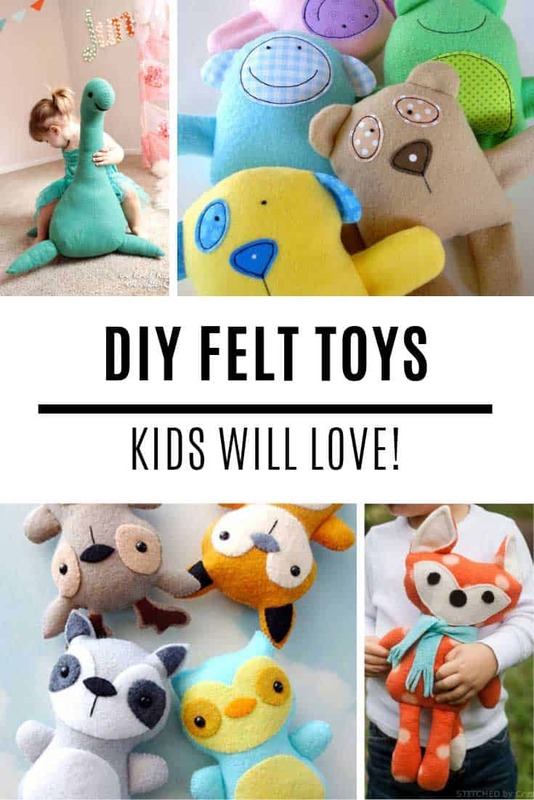 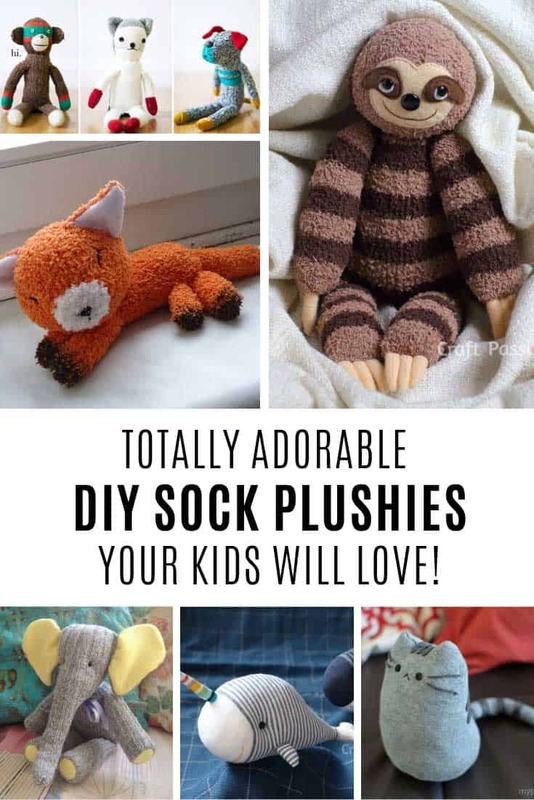 Unless of course you make one yourself from an old drawer! 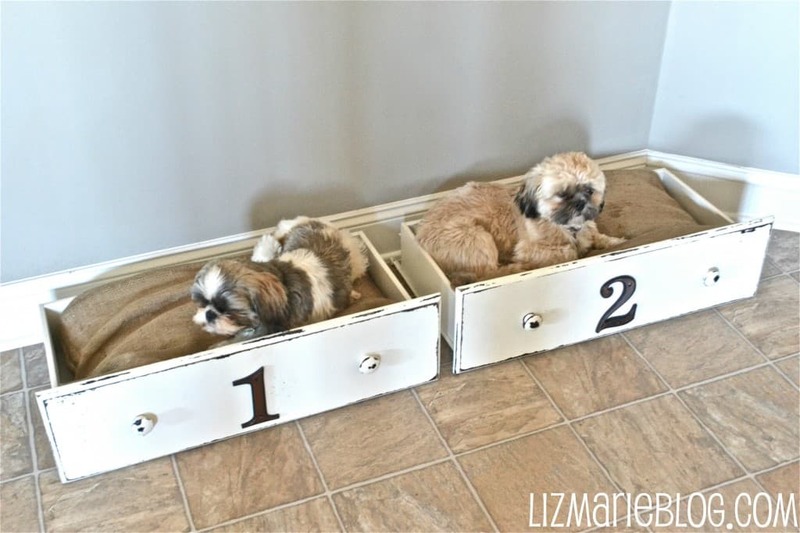 Your pups will LOVE their new comfy beds styled out of old drawers!